Cue up the “Tiger Woods is back” conversations! On the 16th hole at the 2012 Memorial Tournament, Tiger Woods made an absolutely amazing shot to tie Rory Sabbatini for the lead at 8-under par on Sunday. The stunning 50-foot chip shot for birdie had the term “Vintage Tiger” trending on Twitter in no time. And, in true vintage fashion, Tiger celebrated the shot with a fierce fist pump. After making this stunning shot, Woods went on to putt for par on 17 and then birdie the 18th hole as Sabbatini faltered down the stretch. Woods finished the final round at the Memorial at 5-under 67 and celebrated his fifth win at the tournament with a handshake from Nicklaus, who was waiting near the 18th green. Wow… This article certainly seems to me to have run out far on a limb…And kept going. Certainly seems a heady recipe to have to eat some humble pie at some point – because despite Tiger’s current difficulties, there isn’t anything physical which might keep him from returning to form. 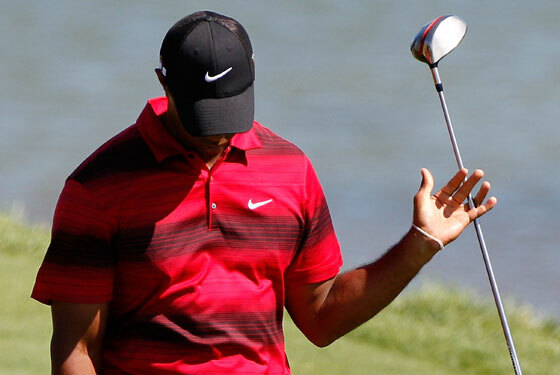 Tiger Woods didn’t win the PGA Championship yesterday, or any major this year. Get used to that sort of thing happening, because Tiger Woods will never win another major championship again. He’s finished. He’s not catching Jack Nicklaus. He’s won what, fourteen majors? Well, that’s what he’ll stay on for the rest of eternity. It’s a shame, because he has put his entire being into chasing Nicklaus, and we, as fans, have followed him for over a decade assuming that the record would eventually be in his grasp, and sooner rather than later. It’s frustrating to get to this point and think that we’ll never reach that moment with Woods. But we never will. He wouldn’t have these bimbo problems. Of course the recent scandals surrounding the “Christian Brotherhood” politicians such as Governor Mark Sanford, and Senator John Ensign makes a mockery of that. Now I’m likely going to piss a whole bunch of folks off with this – but I’m going to put it out there anyway. 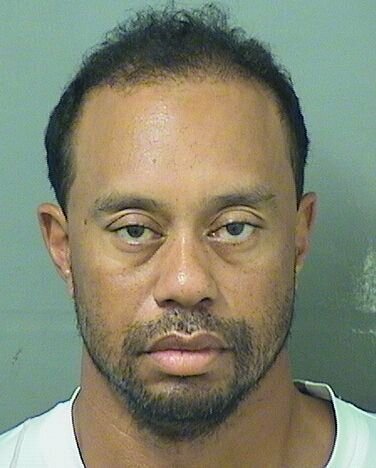 Now this isn’t in any way to excuse Tiger Wood’s despicable moral behavior. Turns out the cuckolded husband, also was an employee of Senator Ensign.